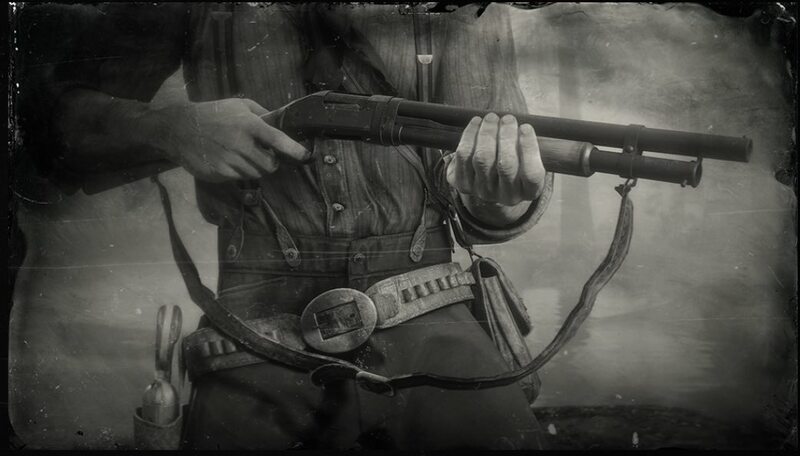 Pump Action Shotgun is a Shotgun is Red Dead Redemption 2. The high-powered Lancaster Pump Shotgun has a large ammo capacity and quick reload capabilities. Despite average accuracy, this gun will hold true should you find yourself confronted by wild beast or man in close combat. This gun has an ammo capacity of five rounds, and can use Regular Buckshot, Incendiary Buckshot, Slug and Explosive Slug shotgun ammo. Available to purchase at Gunsmith during Chapter 2 for $? ?, or free with "Special Edition" RDR2 or higher.